Asterios (Astro) Amazing, uplifting, melodic, emotive music!! cargobird Very beautiful music, which very much helps to program with all possible concentration. Favorite track: Vanilla Sky. shaggy_fires This an amazing work , really , in my wasted time , when I heard this wave , this feel with your music i'm flying up in th sky Favorite track: Bloom. "Lights & Motion began in the dark recesses and buried corners of insomnia. Without much sun to speak of in the Scandinavian winters of Sweden, Christoffer Franzen took to sequestering himself in a studio to help battle his condition. I've suffered from small bouts of insomnolence as well in my life. It is difficult to find a more lonely and helpless feeling. Thankfully, Christoffer was in great company. Through his project, which began in 2012, Lights & Motion has at once been an escape and a release not only for him but for those lucky enough to listen to his music. Franzen has an incredible capacity to write truly inspiriting and somber music. The most incredible part is that it seems to come so easily for him. It may sound like I'm gushing here but with this latest five song EP, entitled Bloom, Lights & Motion is marking its second release and Franzen's third in just a little over a year. In January of this year Lights & Motion released the spiritual Dear Avalanche while in October he wrote the score for an imaginary movie called Phenomenon under his own name. I've written in length on the influence one's surroundings have on creativity. Being able to stand at the edges of town with your arms spread out wide and your head tilted back as you gaze at a million points of burning light twinkling in an endless expanse has to play some role in your creative process. The mind behind Lights & Motion admits that the surrounding panorama and dark winters have had a strong influence on everything he's done...even if he didn't know it at the time. The seemingly eternal winter brings with it an urge to create. Through this creation it's as if Lights & Motion set out to will the changing of seasons. With Bloom, Lights & Motion comes out of hibernation with hopeful eyes ever set on the promise of Spring's clement touch. It's about rejuvenation and being born again. It's about bursting from the sodden, stark loam of winter to blossom anew. I can't help but think the song Lion wasn't so named because of the old adage that 'spring comes in like a lion'. You can hear a sort of revival present in each of the album's five songs. Light, airy strings swirl around like a soft, vernal breeze accompanied always by glimmering piano or guitar that tiptoe through the songs as if through a puddle after a spring rain. With each lullaby on Bloom you can almost hear the sleepy staccato of rain dreamily pitter-pattering the tin roof of the shed in your backyard. Franzen states that Bloom, like a lot of his music, is written during the darkest months when he's longing for the changing of seasons. This longing is the catalyst that enables him to write music with a lighter feel, even while the sky outside is a never-ending blanket of grey. Bloom encapsulate perfectly that longing. Or as Franzen puts it 'a hopeful melancholy'. My only gripe with this album is that I want more. From the opening piano chord of the first track 'Overture' to the final chord of the last track 'Lion', Lights & Motion has created something here that truly transcends sensibility. Many of the tracks are full of lilting phrases that get your heart pumping new, enlivened blood, but there are moments when the weather changes. Lights & Motion won't flip the script on you with the kind of abrupt crescendo we all know and love/hate with instrumental music. Instead, the tonal aura changes. Franzen relates that the piano and string textures 'sound very blue-ish in color and tone' on his newest mini album. This blue-ish tone portrays the quiet battle between a ceaseless winter and the ushering in of the new blessedness of promise. Lights & Motion is nothing if not consistent. Every release is consistently beautiful. Consistently gut-wrenching. Consistently full of melancholic hopefulness. Franzen just gets it. On the micro-level he's growing as an artist by experimenting with sounds and textures. You have to admire how unfailing his creativity is with release after release. The guy is pumping out music at an alarming pace and there are no signs of any kind of artistic lull. It's difficult enough to try and be consistently creative with short gaps between albums, but Lights & Motion finds a way to do it with a faithfulness to his artistic conviction that I adore. At this point, my only advice to Lights & Motion is that if the landscapes of Sweden have as much influence over your writing as you claim – never move." "Bloom" follows "Dear Avalanche" (2017), "Chronicle" (Jan 2015), "Reanimation" (2013) and "Save Your Heart" (2013) as well as two additional composer albums "Phenomenon" (2017) and "Dreamweaver" (2014), all of which were released by fiercely independent Deep Elm Records. With over 60 Million plays and 500,000 monthly listeners on Spotify alone, the music of Lights & Motion has been featured in numerous A-List Hollywood movie trailers (Fast & Furious 7, Concussion, Collateral Beauty, Lone Survivor), SuperBowl commercials (Budweiser, Furious 7), television spots (The Vampire Diaries, Bill Nye Saves The World, WWE) and online promotional campaigns for a wide range of sync licensing clients throughout the globe including Google, Apple, Adobe, Audi, Discovery, Four Seasons, Greenpeace, Microsoft, NatGeo, Nike, the Oscars, Paypal, NHL Stanley Cup, the Tour De France, Visa, the Winter Olympics, YouTube and many more. Franzen resides in Gothenburg, Sweden and he is without question, one of the hardest working, most humble and biggest musical discoveries of the decade. 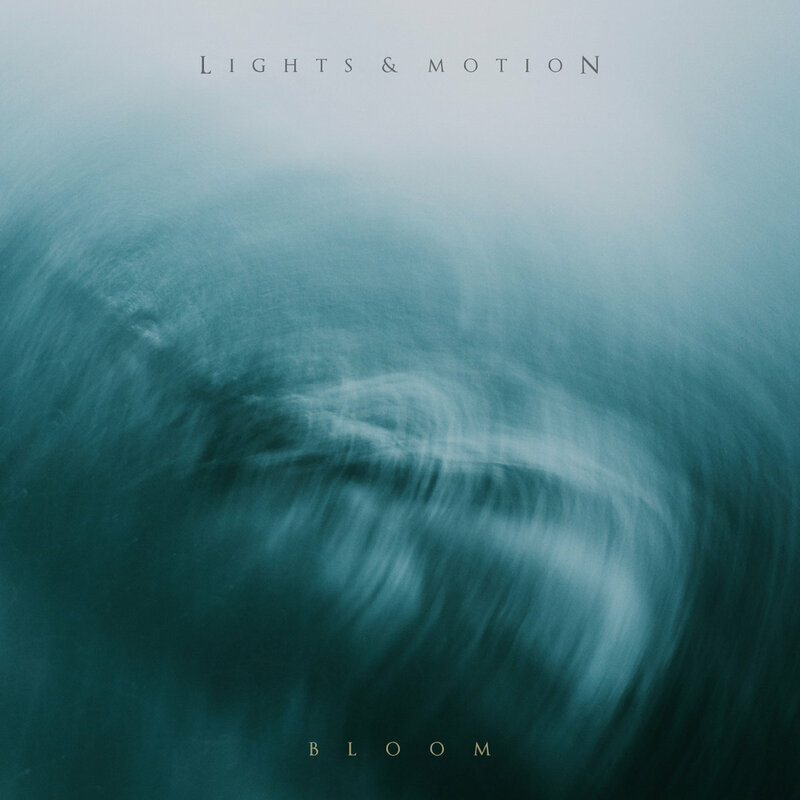 Bloom again certifies Lights & Motion as a cinematic point of reference, ensures the album's resting place among the highest echelon of post-rock releases and further justifies Franzen's spot on the short list of great cinematic songwriters.